A recipe book for gardeners, from Patrick Blanc's innovative Green Wall to new techniques for domestic gardens. 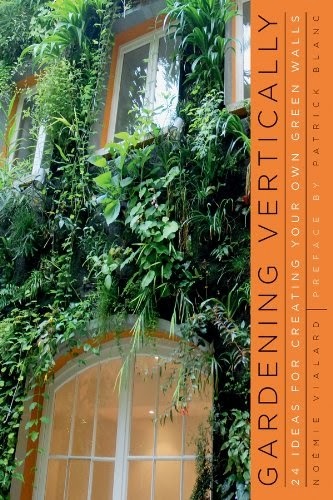 Until recently the idea of vertical gardening was limited to growing climbing plants on walls and trellises, but it has been completely transformed in recent years through the impetus of Patrick Blanc, who invented the concept of the Vertical Garden, also known as the Mur Végétal, or Green Wall. Since then, many new developments have appeared (ready-made walls, small garden scenes, etc.). These are all techniques that Noémie Vialard presents in this book, paying particular attention to her friend Patrick Blanc’s concept and featuring the wall of aromatic plants he designed especially for her. Step-by-step photographs guide you through the different stages in the development of a wall like this for personal enjoyment. Following are twenty-four different ideas for vertical garden compositions, each beautifully rendered in Dominique Klecka’s illustrations with simple instructions to help you to create and maintain it yourself. Among the themes: foliage wall • mosquito repellent wall • aromatic herb wall • perfumed wall • wall of mosses • wall of ferns • black-and-white checkerboard wall • patchwork of succulents • circle of thyme • winter jasmine screen • wall of vegetables • and many more!